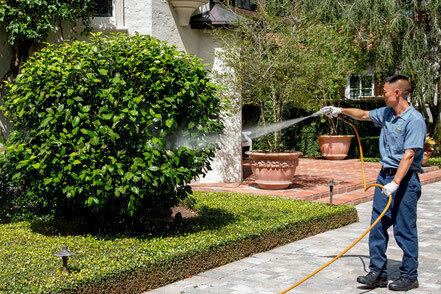 Orlando Shrub Care & Landscaping Services - Quality First Lawn And Shrub Care Inc. In our shrub spray mixes we are constantly changing up the products. Each season of the year has pests and diseases that will thrive in those weather conditions. Insects that will damage an Azalea might only be present in the fall so we treat for those insects during that period. In the spring that same Azalea might need protection from a different disease or insect. Having the knowledge and skill to know what plants have problems and when they have those problems allows us to select the best products. Most companies have a standard mix they use all year long to minimize the technician training needed to take advantage of product selection. We know that certain plants like Sago will always have Cycad Scale. Even when the plant looks clean and healthy the scale is still there just waiting for the opportunity to take over the plant. Understanding how impossible it is to totally eradicate this pest has led to the creation of a maintenance program. They all get treated on a specific schedule whether the scale is visible or not. This insures the health of the plant. 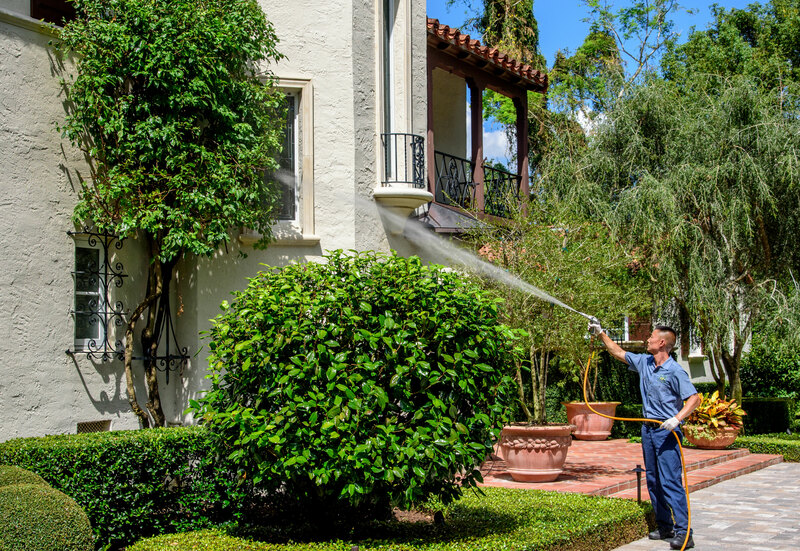 This is done with other plants as well that have a serious pest issue that could damage or even destroy the plant if allowed to get out of control. Sometimes these specialized treatment options also work well in conjunction with providing shrub nutrients to help supplement growth while eliminating the disease destroying the plant.